Influencers are powerful forces that can help propel your crypto blog towards significant profitability. Should someone like Tony Robbins re-tweet you, expect a torrent of traffic and more re-tweets. When Kim Kardashian promotes a product, the suppliers of the product better be ready for huge increases in sales. Top influencers have the power to increase your online lead generation and revenue to great heights. So how do you connect with influencers? How do you even find influencers? Fortunately, there are tools to automate influencer discovery and even influencer outreach. Let’s take a look at some of the most effective way of finding people to promote your blog. Probably the best outreach tool for influencer marketing. 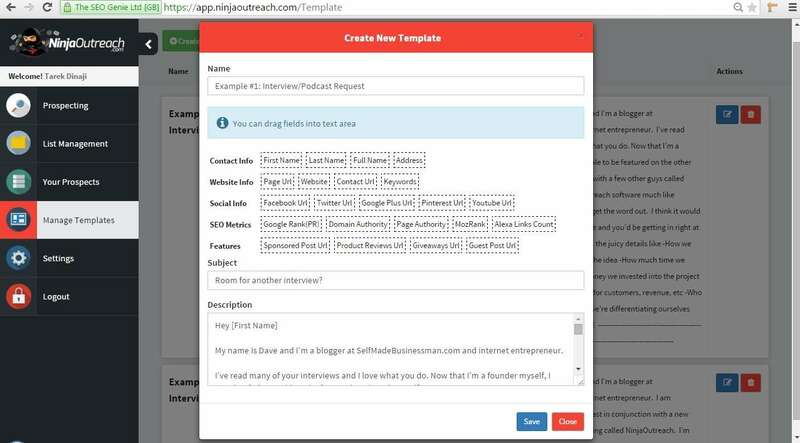 Ninja Outreach (NO) is the go-to tool for finding influencers. This practical multi-functional tool helps bloggers discover highly-shared content and influencers with a large internet reach. NO makes contacting the influencers and bloggers easy through its Outreach mode. Managing multiple templates for multiple campaigns, clients, or URLs is also a breeze. Use the Content Prospecting section to discover great content based on the topics of the article that you want to promote. NO finds and sorts content based on the supplied keywords. The software also displays the Alexa rank, the number of social shares, and SEO metrics such as Domain Authority and Page Authority. Pick any result and click the View Sharers button. The next screen displays a list of sharers of that content along with their social media stats and the SEO metrics of their website. This information would take hours to find manually. The tool displays email addresses associated with each website and the category of each result. Maybe you want to focus on bloggers rather than big publications such as Forbes magazine. You can either browse the category tags or filter them in the search. Save your prospects to a list to be used for quickly contacting influencers later. 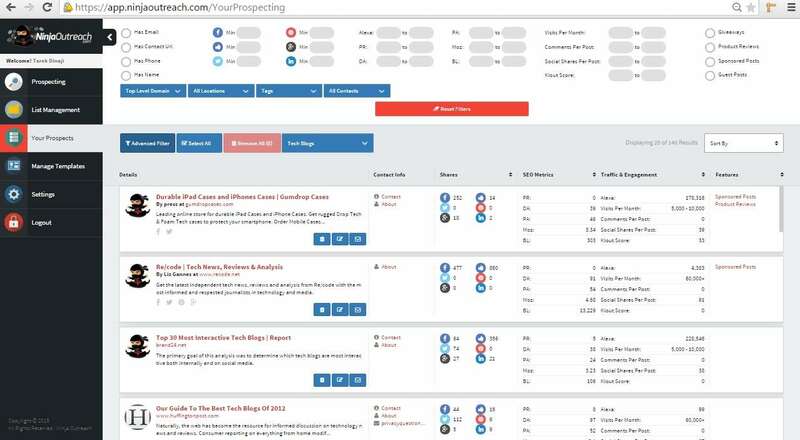 The Social Prospecting tab is for searching for bloggers, influencers, executives, companies, or journalists based on your keyword terms. Let’s imagine you want to find a journalist in Boston, with at least 50,000 Twitter followers to promote your latest blog post. NO makes this an easy process. Key in your search terms and add filters. Once you’ve found your list of high-potential influencers, save them all to a list or save individual ones to the list.